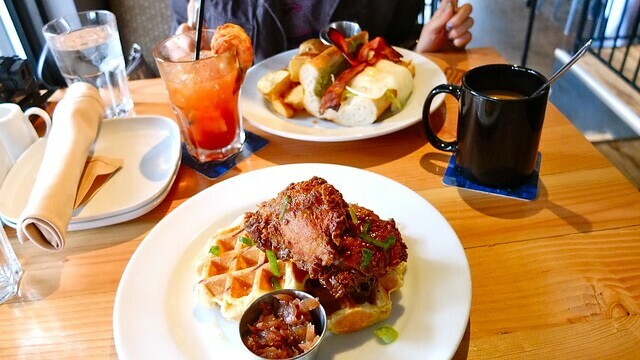 Brunch at Chewies Steam & Oyster Bar in Kitsilano on April 14, 2012. I finally returned to Chewies to try their famous brunch menu after their splendid and overly induldgent grand opening. Hitting up Kits bright and early right after opening was a great idea. We stuffed ourselves and took a quick stroll to the beach to let our meal digest in the cold, windy breeze. 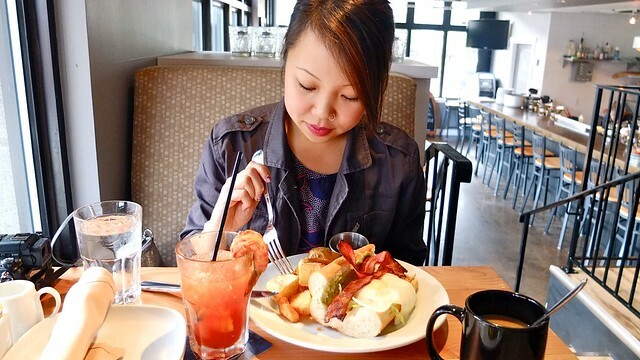 Is 10 o'clock too early for a breakfast Caesar? 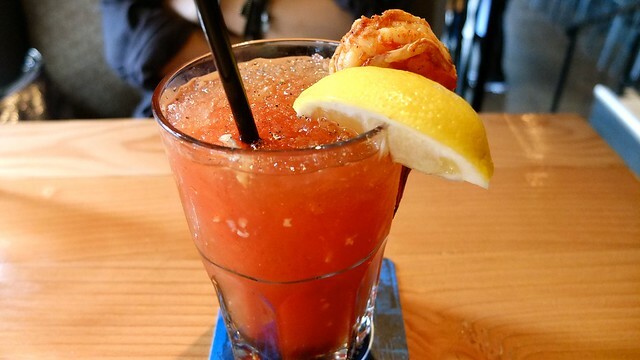 What a refreshing treat and hair of the dog to start off our Saturday and brunch right. 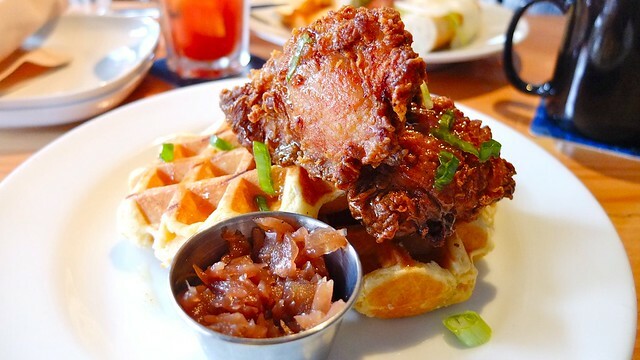 I, of course, had the southern fried chicken. It was delicious. I loved the crispy chicken. The two buttermilk waffles were a tad dry, but I didn't mind. The apple chutney topping and drizzling of Cajun honey butter complimented it well. 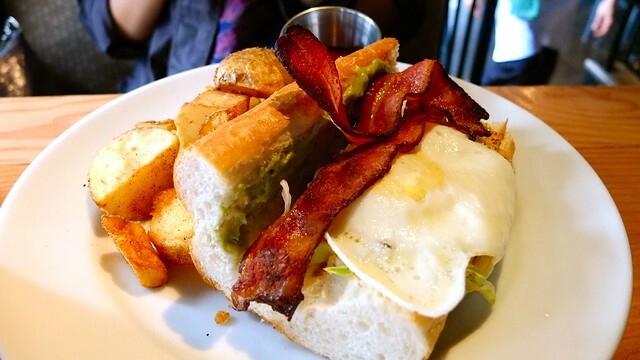 Devon had the breakfast po'boy with sliced smoked bacon, avocado, creole remoulade sauce, egg, and home fries. We were definitely satisfied with our brunch. As always, the service staff was nice and friendly, even playful and chatty. I look forward to returning.